There! Got your attention, didn’t I? Now that I have it, let’s talk about opening scenes and first chapters. What makes an opening scene great? What is it about an exceptional first chapter that makes a reader want—or need—to continue on with the story? 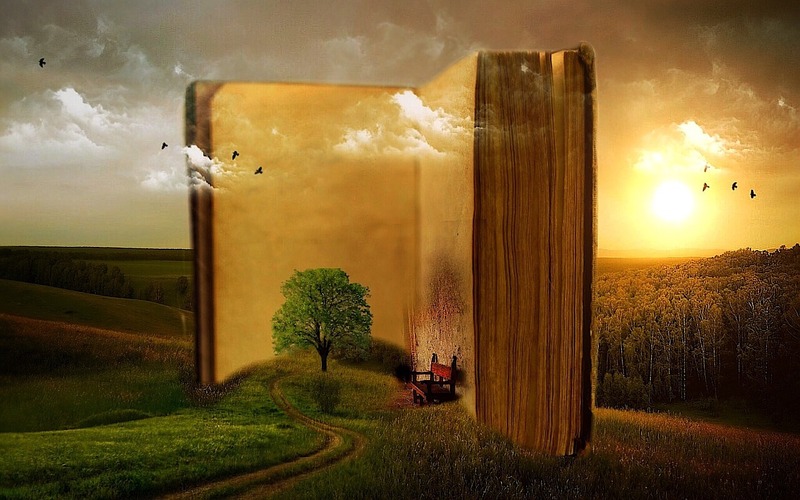 What should an author include or stay far, far away from in her opening scene to engage the reader and give her the need to continue reading. I read somewhere that the opening scene is the bait an author uses to draw the reader to the hook, what makes this book worth reading. By the end of the first chapter, I know whether I want to continue reading or flip that book into the not-for-me pile. That’s what I mean by bang in the title of this article. I don’t necessarily believe that all books should start with an action scene or high drama. There are many other ways of pulling a reader in without a huge action sequence. First, you must start with a protagonist your readers can care about or an antagonist whose actions are a cause for worry. Your reader doesn’t actually have to like your protagonist—that’s what character development and growth throughout the story are for. And your antagonist doesn’t have to be the epitome of evil and evoke hatred from all for your reader to worry about how her actions will affect the story. Antagonists should be more than one-dimensional wicked witches or ax-murderers. That makes them more fun. But if your reader cannot connect with the character at all, you’ve already lost her. Feel free to throw a little dramatic arc into your opening scene or your first chapter. It doesn’t have to necessarily mimic the arc of your story, but it certainly doesn’t hurt. Stories that begin with conflict or mystery draw the reader in with the need to find out, sooner rather than later sometimes, what’s going to happen. Make sure to start the scene right at the good part; don’t add too much lead-in or backstory or your reader can become bored quickly. A bored reader won’t continue to chapter two. If the conflict in your scene is the slamming of a door in your protagonist’s face, don’t begin your scene with the drive to the house. Start with the knock. Or better yet, the slam. You have the rest of story to explain to the reader what happened. Just make sure you don’t regurgitate all that information in chapter one. Take your time and weave your story—add bits and pieces of backstory as the tale unfolds so your reader can infer the information and not assimilate an info dump on page seventeen. Part of this weaving includes dialogue. Not just banal, everyday dialogue, of course, but from-the-heart, gut-wrenching dialogue that gives your reader the feels. Take that door slam from the last paragraph. Dialogue with that slam could include something like, “I hate you!” Yeah, okay. Boring, right? But something like, “Do the words restraining order mean nothing to you?” might make your reader more inclined to keep reading. Keep opening scenes and first chapters brief. Long scenes with gobs of detailed description, narrative, and backstory are going to bore your reader. Think of the first scene as the one that grabs your reader by the lapels and slams him—figuratively speaking, of course—against the wall. And now that you have his attention, you’re ready to introduce yourself and tell him your story. If you think of your first chapter or opening scenes as your only chance to make a first impression, it will help you start with a bang. Remember to engage your reader with significant characters and compelling dialogue, creating tension or conflict early on to make her want to continue. And don’t overwhelm the first chapter with excessive details or backstory. You’ve got the whole story to make your point. If you’ve got more tips to writing an exceptional opening scene or first chapter, leave a comment and let us know. We’d love to hear from you!